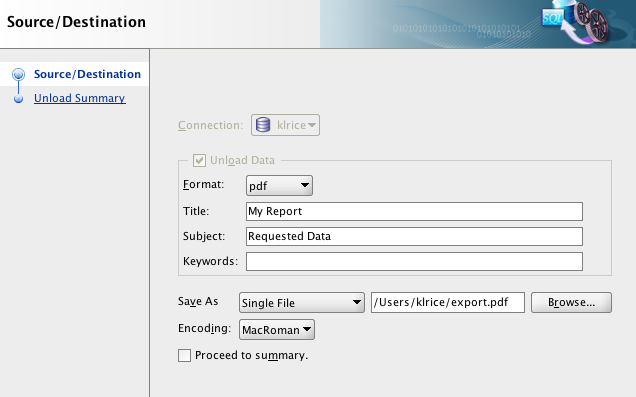 Another new thing in the EA is unloading the grid of data to a pdf file. 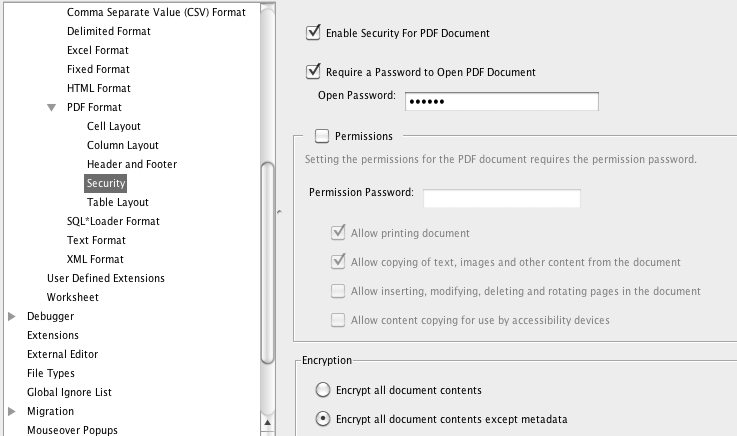 Plain PDF is one thing but what this will show is how to encrypt it. While in the database the data is normally quite secure and you have to have proper permissions and knowledge on how to get to the data. However, when it's loaded into excel or PDF or ... the security is far harder to enforce. Here's one way to address it with encrypted PDFs. First go into the Tools-> Preferences and setup a default title/author/subject. These are changeable later. Now simply go down to the security section and check a couple boxes and enter a password. I'm just showing the simplest case but you can see from the checkboxes that you can give more granular permissions also. The easiest part is next , write your sql statement to get the data you need. 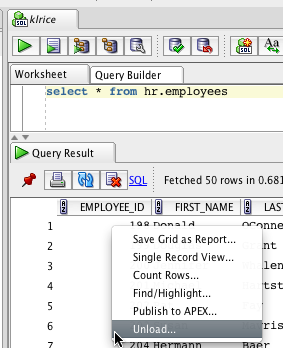 Once you have the data in a grid, it's as easy as right click -> Unload. 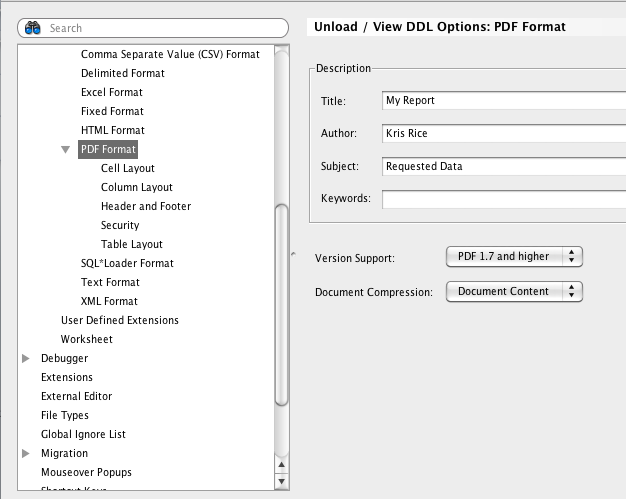 Once you have the dialog to unload, Choose PDF in the drop list of formats. This will bring a section to change the defaults for report title,subject, and keywords. 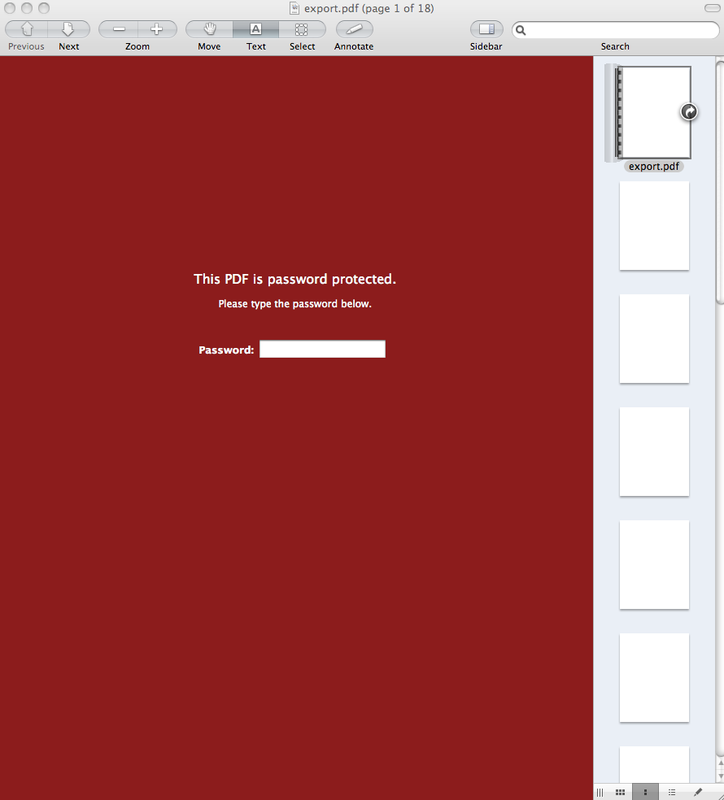 Lastly, open the PDF and you'll get prompted for a password. This screenshot is using Apple's Preview which just the default viewer for Apple and all PDF viewer will function the same.